NIO-OXY – The advance technology from Italy, NIO-OXY is the synthetic active ingredient that can inhibit the enzyme-causing-dullness. 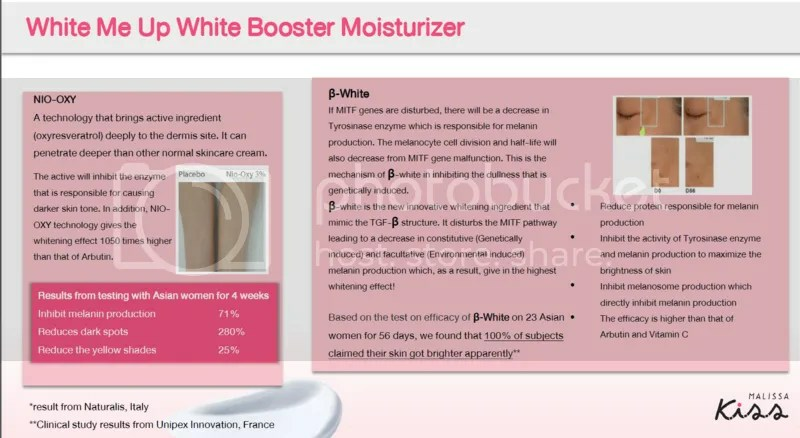 With the Nano particle size of this active, it can deeply penetrate to act not only at the epidermis site but the also the dermis site contributing to smooth and soft skin with whitening effect that is 1050 times higher than that of Arbutin. 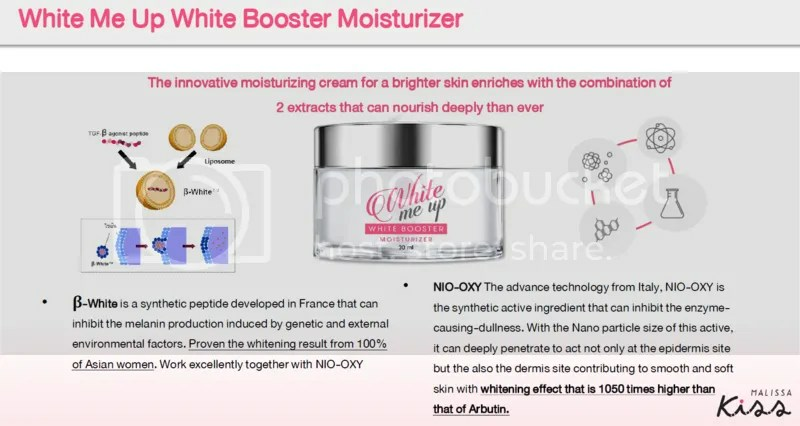 The first time of moisturizer that directly inhibit melanin production at the genetic level. It yields the highest whitening result that last for a long period of time. •β-White andNIO-OXY: The highly effective technology that have been researched to yield the long lasting whitening results. They have the ability to whiten skin much more than Vitamin C and Arbutin. 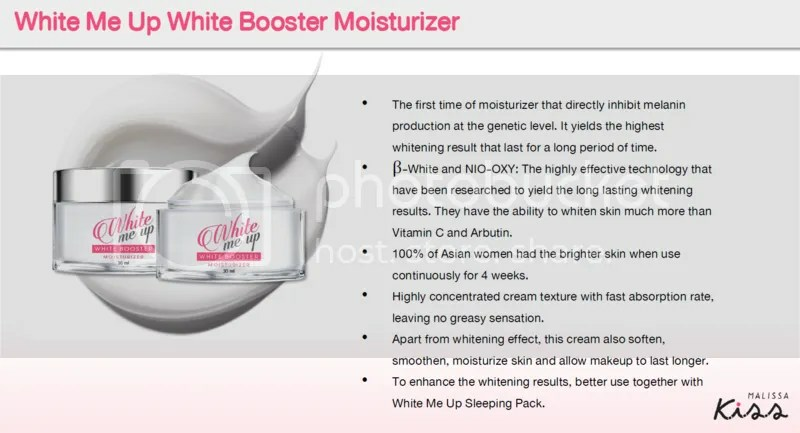 •100%of Asian women had the brighter skin when use continuously for 4 weeks. •Highly concentrated cream texture with fast absorption rate, leaving no greasy sensation. •Apart from whitening effect, this cream also soften, smoothen, moisturize skin and allow makeup to last longer. 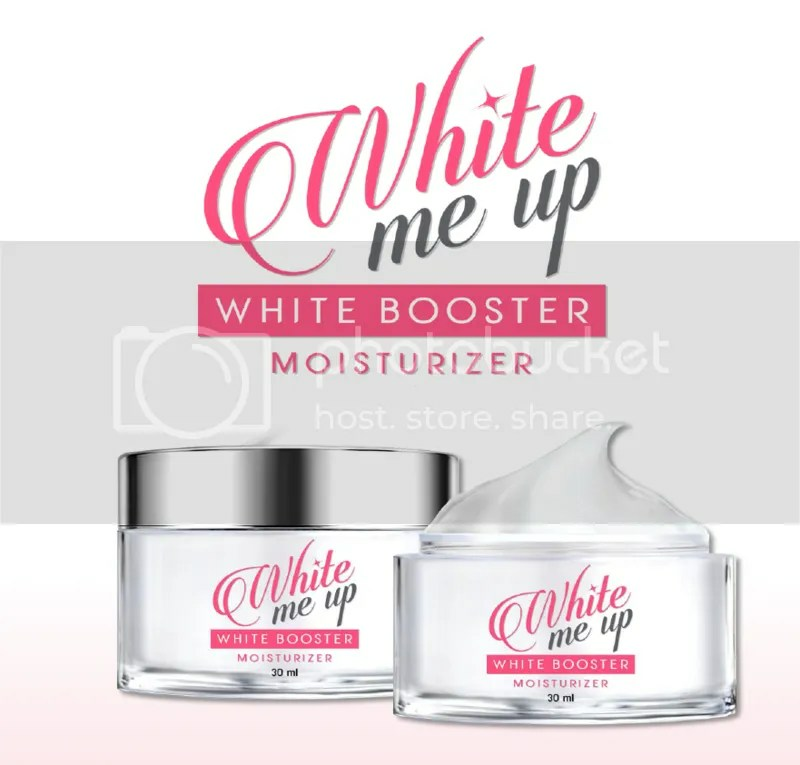 •To enhance the whitening results, better use together with White Me Up Sleeping Pack.